We all need to work on our marriage-no exceptions. So whether you’re soaring on the wings of wedded bliss or looking for solutions to some nagging issues, this course may be what you need to refocus your marriage on its Designer and His purpose. 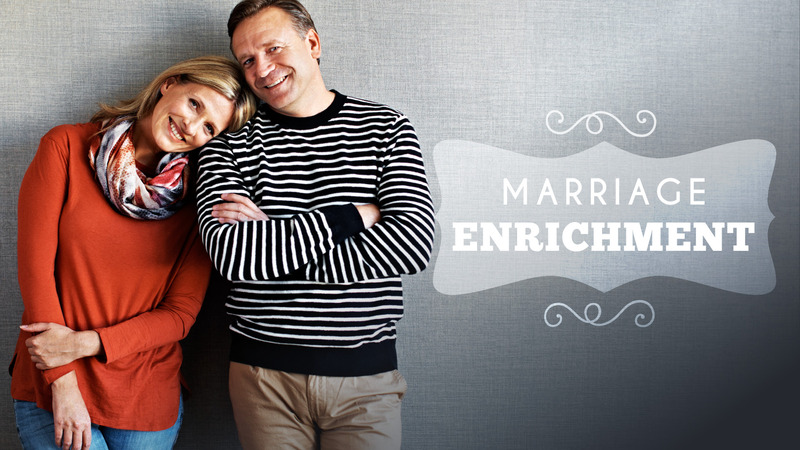 The Marriage Enrichment ABF is an elective taught by George May and Barry Ferguson, and is designed for couples who are ready to take their marriage to the next level. If you desire to strengthen your marriage and grow in your relationship with God, this is for you. "Love... just as Christ also loved the church and gave Himself up for her... that He might present to Himself the church in all her glory,...that she would be holy and blameless." This ABF is conducted in both whole group and small group format. Each group will have 5 couples, including a couple who will facilitate the group discussion. These groups will be consistent throughout the year to foster sharing and support. This is a Sunday morning elective, meeting at the 9:00 hour for one academic year, from Labor Day to the week before Memorial Day (except Christmas, CC Family Meeting and Easter). Only couples who are willing to commit to attendance, participating in group discussions and completing the homework, will be invited to attend. You can be confident that the material for this course is grounded in Scripture. We also use well-known books on marriage and discipleship for some of the key points. The curriculum will be packed with excellent topics and great discussion.